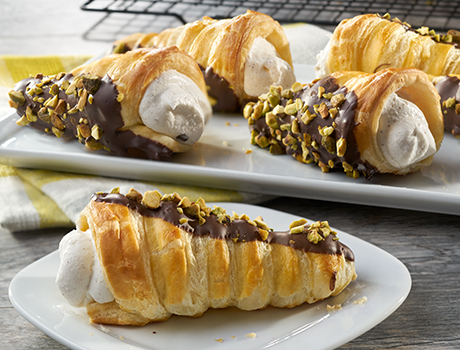 Youre sure to impress your guests with these sweet indulgences. 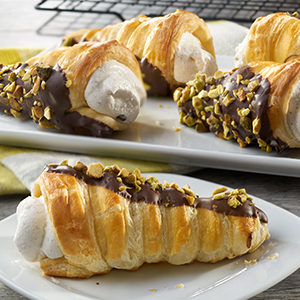 Flaky puff pastry cones, dipped in luscious chocolate and filled with an oh-so- easy to whip up cannoli cream. The best part is they can be made ahead of time and assembled just before guests arrive.